I read this article and found it very interesting, thought it might be something for you. The article is called Flying the Flag – Robyn Lynch and is located at https://www.totallydublin.ie/more/fashion/flying-the-flag-robyn-lynch/. If one thing is certain, the international menswear sector has been imbued with new-found dynamism in recent seasons (the avant-garde turns at Florence’s Pitti Uomo – a trade fair/fashion week once exclusively characterised by navy suits – are testament to this). As leaders in ripping up the sartorial rulebook, it makes sense that London would be fronting this creative call-to-arms, its coveted menswear ranks including J.W Anderson, Craig Green – and now, Robyn Lynch. Six industrious years of studying kickstarted her career path, involving an NCAD degree and a newly-launched Masters in Menswear at the University of Westminister, where Lynch was taught by Charles Jeffrey and other cutting-edge designers. 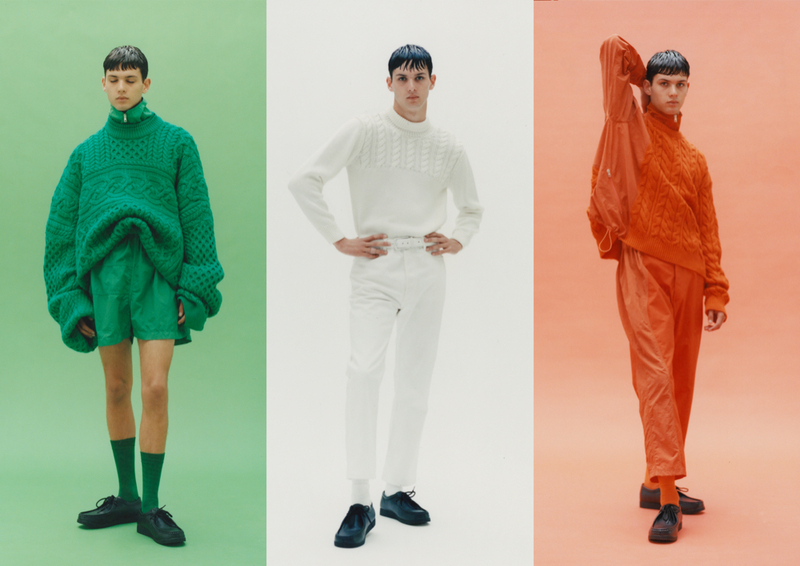 As part of the only university to show at London Fashion Week Men’s, Lynch debuted her tricolour tendencies in June to a chorus of praise, and this month she’s triumphantly returning to LFMW as the Fashion East family’s latest addition.